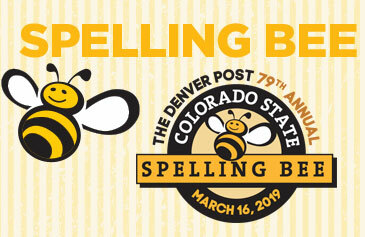 On Saturday, March 16, 2019, more than 280 of the State’s top 2nd – 8th grade spellers participated in The 79th Annual Colorado State Spelling Bee at the University of Denver’s Sturm Hall. The morning consisted of local and regional bee winners taking a written spelling and vocabulary test to see who would advance to the afternoon oral competition. The top 29 scorers made it to the finals with Angelina Holm, a 7th grader from Denver School of the Arts, winning the competition in round 25 after spelling heliacal correctly. 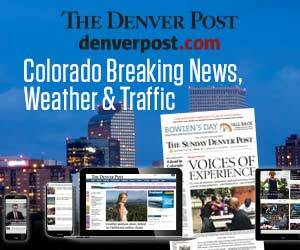 This is Angelina’s second year in a row to walk away as The Denver Post Colorado State Spelling Bee Champion. 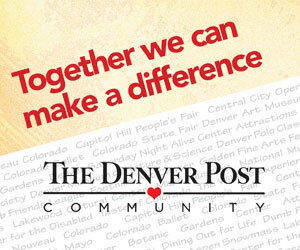 She will go on to represent Colorado in the Scripps National Spelling Bee near Washington, D.C. in May. Second place in Saturday’s Bee went to Ben Holland, a 7th grader at Hamilton Middle School, a repeat for him from 2018 as well, and third place went to Lachlan Flanigan, a 5th grader from Cory Elementary. Congratulations to everyone who worked so hard to earn a spot on Saturday. Please join us in wishing Angelina good luck in the National Bee, we are proud of you, Angelina!